It is quite likely that this ‘secret’ is the ultimate secret of humankind itself. The ‘sacred lineage’ enigma that humankind has called: The Holy Grail. It has probably been covered up in history over the ages because people simply would not accept an important message that was being conveyed by ‘those who came from above’. With the latest evidence emerging from the lost Gospel of Judas (see News posting) it is very likely that it was Christ himself who after the last supper with his disciples passed on to Judas this ‘big secret’, referring to it as the ‘sacred lineage’ teaching. From my research, I am of the opinion that this all pervasive knowledge had a lot to do with the uniqueness and sacred nature of humanity’s origins. I believe from extensive research the parameters of this sacred knowledge may have been inscribed on a metal plate called a ‘Grail’ (not a goblet), and that this metal plate was handed to Judas. (See also the collection of ancient evidence on the human codex by clicking on the icon of Vitruvian man on the home page). If we look back into the history of the ancient Egyptians, the deities they revered were depicted as having a red solar/star disc as a ‘crown’. This is much the same way that Christ is depicted throughout history, although in many frescos the ‘disc’ is lower down and behind the head. This would associate Christ with ‘his’ teachings about the sacred Holy Grail. Integral to the Grail framing his face (not a halo) is the inscription of the ‘Christos cross’ and I believe the patterns on the disc could be stars. 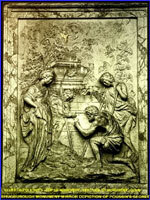 When the Grail is present in the case of Mary Magdalene or St Paul it is probably to denote that they were also associated with the sacred knowledge. To get a three dimensional perspective of what the Holy Grail may have looked like, look at the statue of St Paul at the Vatican. See also the Nebra disc on the home page, an ancient Germanic Grail. As already suggested, the Holy Grail probably contained ‘sacred knowledge’, and in all likelihood Judas would have been asked to pass on this knowledge. More specifically, it was a record whereby humankind (as the Judas Gospel quotes) could be taught about the “the ultimate star that is also his star”. 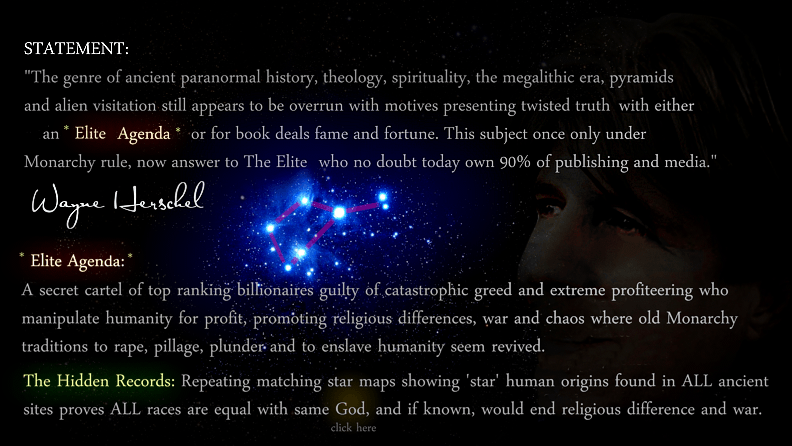 To make sense of this, peruse this website for what I propose to be “the ultimate star”. If it is as I claim, then what Christ is saying is that not only is the star he is referring to ‘his star’, but it is also that of Judas, and ostensibly the star that the entire human lineage emanates from. Put simply: All of humanity is of divine lineage, much like Christ’s lineage! If this is indeed the case, and if Christ did not get the opportunity to teach such a sensitive truth during his time, after his last supper with his disciples, he would most likely have entrusted this knowledge with Judas to protect it for the future. Imagine how outrageous the claim might sound and what it ultimately would mean. It defines how sacred human life really is. It would obviously also claim that it would be a terrible sin harming or abusing a fellow human being, hence declaring discrimination in any form, especially slavery, as completely unacceptable. I believe that if Judas was given such pertinent knowledge, he no doubt would have wanted to proclaim this great message right away. This may have led to his assassination the very next day by the Roman authorities. For obvious reasons it would not have been in the governing body’s best interest to allow this information to be disseminated. Perhaps from this day forward, the great secret was only for the eyes of the elite. Hence the Holy Grail would have been passed along from one secret society to the next across the ages. A few hints when clicking on the solutions icons: They will download in ‘flash’ format so it will take time for the image to appear on the star background. Because the photographs come from sources that did not necessarily photograph them head on, slight distortions may be apparent. I urge you to take into consideration also that the human form has variations from one individual to the next. This is the reason why in some interpretations you will see obvious equilateral triangles, and not in others. These proposed solutions are merely sketches by nature and need to be measured more accurately later for the perfect depiction that they deserve. Now that a consistent geometry pattern is at hand, also look at the roof of the Rosslyn Chapel and all the other paintings rumoured to embody a secret. Try Botticelli, Salimbeni, Teniers… try the paintings showing George Washington and the icons on the American one dollar bill. The same solution prevails every time. All the depictions will be up for viewing soon. Great precautions and back-up plans are being taken so as not to deny humanity the truth any longer. It is no wonder at all that 2000 years ago, at the exact time of Christ, Vitruvius revealed the same ancient secret. A secret that goes back to the beginning of humanity itself. In the ‘The Last Supper’ the most prominent clue in the painting is the absence of the mythical chalice that legend claims is the ‘Holy Grail’. I deduce this from the exaggerated gesture Christ’s empty right hand seems to make (clue 4). Is this exaggeration deliberately suggesting to those seeking the truth that despite its obvious absence, evidence of the ‘Holy Grail’ can be found in the painting nonetheless? VERY IMPORTANT NOTE : I would like to caution readers who may find the following upsetting to their own belief systems. I am also very concerned that some authors will choose to present the historical facts in such a way as to discredit the Christ figure. He says readers owe it to themselves to ‘word search’ the Internet for academic or theological links, many of which corroborate the interpretations that are presented here. I firmly believe that the integrity of this person of greatness and what he stood for will be slandered and undermined even further if the hidden truth about him is not presented in its full context. Let it be said right now that the story that seems to be unravelling here will not challenge the validity of this messenger’s source of truth, nor his magnificent teachings. Even if it turns out that he had a loving bride, would this make him imperfect? Only the self-righteous would discredit him for something that is natural and integral to life itself and allow such trivia to influence their faith negatively. Let us never lose sight of the certainty that the Creator of the universe spoke through him, with or without a bride. According to some historical accounts, the name of the biblical Saviour we have by tradition come to know as Jesus may not be the original spoken name given to him at birth. There are references, which claim that this holy man’s name was Yeshua. This was the name film director Mel Gibson chose for ‘The Passion of the Christ’. Take up the challenge and word search ‘Yeshua’ and decide for yourself. In all likelihood, this is does not appear to be a transliteration, as many theologians have claimed. The Roman Emperor Constantine was the man who should be credited for putting Christianity onto a firm foundation. It was he who supported and accepted the importance of the texts of the gospels some 325 years after Christ had been sentenced to death by the Romans. However, what remains uncertain is if the gospels were once written in Hebrew and translated into Greek after Christ’s death before Constantine recognised their significance. One would expect them to have been originally written in Hebrew but they were written in Greek. This is an important question if Greek or Roman scholars did the translations. It is written that Constantine believed the gospel accounts to be important, and that this Hebrew man could be the son of God. One of the almighty Greek ‘gods’ around 325AD was the deity Zeus. In Greek, “Son of Zeus” or “of Zeus” would be pronounced as: “Ios-Zeus”. It sounds very close to what became the first transliteration of Christ’s name to “Iesous”, which later in English became “Jesus”. But let us not split hairs over his original spoken name. This does not change who he was or that the Creator of the Universe spoke through him. All that is important here is that his name seems to have been derived from the Greek meaning “Son of the Almighty one from above”. It would appear that Constantine learned something very pertinent relating to the teachings of “Iesous” from something that written history claims that he and his army saw in the sky. He defined what he had seen in the sky as being substantially large and resembling the Greek letter “X”. He described another phenomenon visible through its centre, which in his recollection thereof he explained using the letter “P”. Gauging from his account of the celestial object, he firmly believed that its importance and the wisdom he was to derive from it, was associated with Iesous. 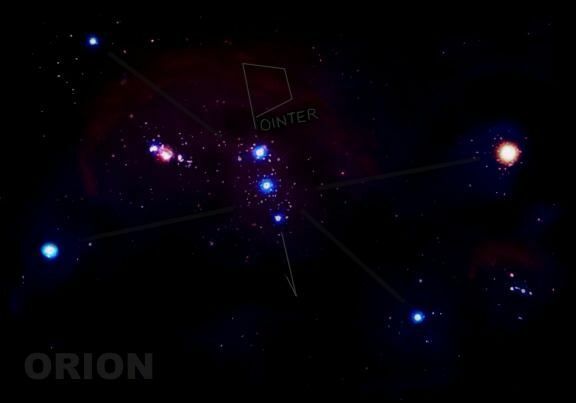 Constantine named the celestial formation, (as shown in the image here) as “The Chi-Rho”, which was later pronounced as “The Christos” (similar perhaps in meaning to the English “criss-cross”), which became “The Christ”. The irony here is that very few people realise that the ‘sacred cross’ of the sky of Christ had absolutely nothing to do with what he was crucified on. 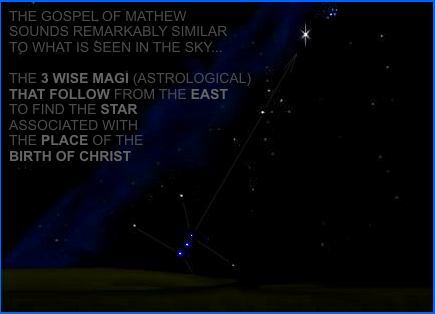 ‘Three wise Magi’ (Astronomical body or astronomer or astrologer) from the East who follow in a very specific direction to find a single star associated with the birth place of Christ”. Recently, scholars have suggested that the ‘Three wise Magis’ were not kings or men at all. Think about this text for a moment. (Do an Internet word search). All heavenly objects rise from the east and the answer some scholars are considering relate to the night sky. But more importantly, how did it come about that these three phenomena were later associated with extraordinary ‘wisdom’ in the Gospel of Mathew? Some readers of ‘The Hidden Records’ may already have an idea what the three ‘wise ones’ might be. However, because of the sensitivity of what could ultimately be the solution, I prefer to leave the ancient texts open to further debate for now. Perhaps the truth of the secret of the ‘Holy Grail’ (the ‘Sang Real’) pertains to something far more important than the direct bloodline of Yeshua. After all, has it not occurred to anyone why such a highly regarded teacher of righteousness and humility would want humankind to revere his bloodline? If he was bestowed with divine knowledge and wanted his word to spread through all nations, surely he would have wanted to teach us something about all of our lineages? I question the meaning of ‘sacred lineage’ in its simple context here. Is it not the ultimate secret of who we are and perhaps even where we come from? What if we are all the descendants of celestial beings who ‘come from above’ so to speak? If this is true it conclusively makes us all equal, regardless of gender or race. All forms of discrimination and slavery were the norm in the earliest of times and such a claim would undoubtedly have incited problems. The important question that arises is whether churches or secret societies of the day were protecting something pure and wonderful or… something terrible and destructive? Increasing evidence is now emerging that strongly suggests Leonardo Da Vinci may have had a source of invaluable lost knowledge. Also that he may have realised the significance of the messages held in sacred geometry. Renaissance society would have been too emotional to reason an ancient manuscript that would supposedly be in conflict with traditional religion, in an era where the sacred book was deemed the cornerstone of the legal system. Did the Bible texts ever refer to the legendary flying discs of the ancient Egyptians and Sumerians? (These were depicted as winged discs that signified they could fly). I have found clear evidence that they did: In copies of the Bible printed over a century ago, the phenomena in the sky that Ezekiel saw approaching from the north were originally described as four separate flying ‘wheels’. “Each a wheel within a wheel, BOTH on their sides”. According to the texts, they made strange sounds and emitted a peculiar smell. Modern day versions of this account refer to a wheel “INTERSECTING” another, hence detracting from what was actually being described, inadvertently drawing our attention away from the possibility that what was being portrayed, were flying discs. Theologians now insist that the testimony of Ezekiel was a vision. It seems somewhat bizarre that in a recollection of a vivid dream one would detail sounds and smells, not to mention the exact direction the objects came from. It would be fair to ask at this point: What gives anyone the right to make subtle changes to such an invaluable ancient testimony that would forever change its meaning? 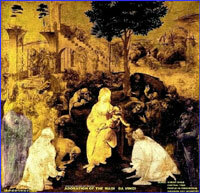 I believe something magnificent is encrypted in five of Da Vinci’s most famous paintings shown here. What he is soon to reveal may be disturbing to some trains of belief, but because of the constructive and pure nature behind some of these revelations, I feel it is well worth your while at least to review the material. After all, much of what we have come to believe as traditional religion today has been unceremoniously altered by the hands of mere mortals from one century to the next, completely detracting from the original meaning. The time has come to review the original sources and cross reference them with historical records. Not just the biblical works but the works of all the holy books. It is worth pondering on the staggering collection of inventions proposed by Leonardo Da Vinci, which virtually mirror many of the major inventions of the 20th Century. Coincidence perhaps? Or would it be absurd to imagine that he belonged to a secret society, which had access to an ancient manuscript depicting historical technology from a bygone highly advanced civilisation? But here is the ‘twist’. If there is just a grain of truth to this thought, what if such an ancient manuscript detailed not only pictographic clues of the technology of the time, but also who the people were that had this technology and where they came from? I have posted on this website a few of the legendary paintings that have already been suggested as being associated with secret knowledge. 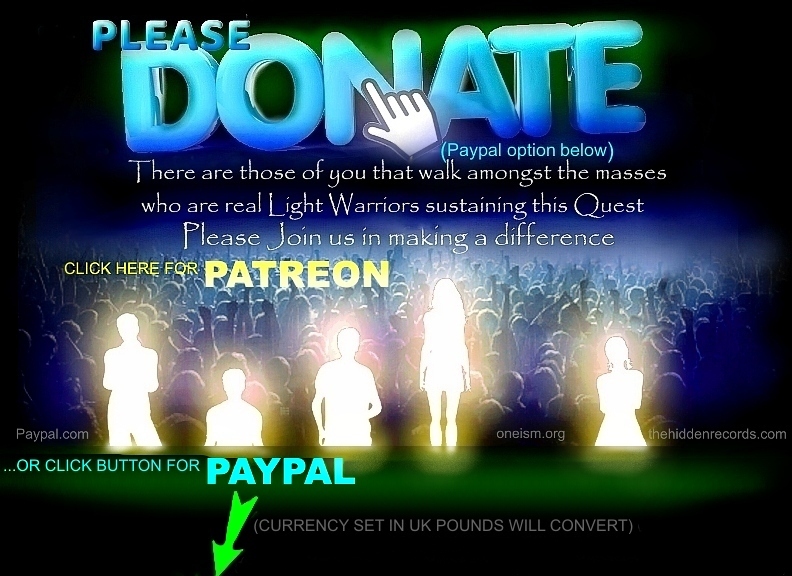 I have added what I strongly believe are the blatant clues so that viewers can crack the code for themselves. Without wanting to make his claims sound farfetched or sensationalized, I am certain I have a very sound and meaasurable solution. What I had found encrypted in the Da Vinci paintings repeats itself in many other famous works that have also been shrouded in mystery… a real encryption of the Da Vinci human code. 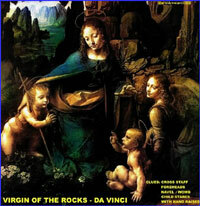 There appear to be many other artists of the Renaissance period who were allegedly part of a secret society. Their paintings too are rumoured to hold clues. The most published case (long before Dan Brown’s ‘The Da Vinci Code’) claimed that Nicholas Poussin was one of the privileged elite who held a closely guarded secret relating to the ‘Holy Grail’, and left clues in his paintings. Since the beginning of 2006, a historical site in the United Kingdom has elicited considerable interest from members of the public wanting to break the code believed to hold vital clues about the ‘Holy Grail’. (SKY News 26 March 2006). The carved monument is on a private estate called Shugborough near Stafford in the heart of Staffordshire. Here is the last piece of the puzzle and it should help you to decipher the hidden geometry and the meaning of what is encrypted in all the paintings on this page. Some of the geometry in the sculpture points to this encryption like an arrow and it hints at what is found ‘within’ the secret geometry. A mysterious poem holds the last clue. I am trying to find out who should be credited for solving the anagram below and if anyone knows, please write to me on this web link.